4. We are prima facie of the opinion that such special leave petitions should not be entertained by this Court. Now-a-days all kinds of special leave petitions are being filed in this Court against every kind of order. For instance, if in a suit the trial court allows an amendment application, the matter is often contested right up to this Court. Similarly, if the delay in filing an application or appeal is condoned by the Trial Court or the appellate court, the matter is fought upto this Court. Consequently, the arrears in this Court are mounting and mounting and this Court has been converted practically into an ordinary appellate Court which, in our opinion, was never the intention of Article 136 of the Constitution. In our opinion, now the time has come when it should be decided by a Constitution Bench of this Court as to in what kind of cases special leave petitions should be entertained under Article 136 of the Constitution. 5. Article 136, no doubt, states that the Supreme Court may in its discretion, grant special leave to appeal from any judgment, decree, determination, sentence or order in any cause or matter passed or made by any court or tribunal in the territory of India. However, it is not mentioned in Article 136 of the Constitution as to in what kind of cases the said discretion should be exercised. Hence, some broad guidelines need to be laid down now by a Constitution bench of this Court otherwise this Court will be flooded (and in fact is being flooded) with all kind of special leave petitions even frivolous ones and the arrears in this Court will keep mounting and a time will come when the functioning of this Court will become impossible. It may be mentioned that Article 136, like Article 226, is a discretionary remedy, and this Court is not bound to interfere even if there is an error of law or fact in the impugned order. "In this connection we may clarify the scope of Article 136. Article 136 of the Constitution is not a regular forum of appeal at all. It is a residual provision which enables the Supreme Court to interfere with the judgment or order of any court or tribunal in India in its discretion." "Article 136(1) Notwithstanding anything in this Chapter, the Supreme Court may, in its discretion, grant special leave to appeal from any judgment, decree, determination, sentence or order in any cause or matter passed or made by any court or tribunal in the territory of India." 8. The use of the words "in its discretion" in Article 136 clearly indicates that Article 136 does not confer a right of appeal upon any party but merely vests a discretion in the Supreme Court to interfere in exceptional cases vide M/s. Bengal Chemical & Pharmaceutical Works Ltd. vs. Their Employees AIR 1959 SC 633(635), Kunhayammed & Ors. Vs. State of Kerala & Anr. 2000(6) SCC 359 and State of Bombay Vs. Rusy Mistry AIR 1960 SC 391(395). In Municipal Board, Pratabgarh & Anr. Vs. Mahendra Singh Chawla & Ors. 1982(3) SCC 331 and in Chandra Singh Vs. State of Rajasthan AIR 2003 SC 2889 (vide para 43 & 45), this Court observed that under Article 136 it was not bound to set aside an order even if it was not in conformity with law, since the power under Article 136 was discretionary. "On a careful examination of Art.136 along with the preceding article, it seems clear that the wide discretionary power with which this Court is invested under is to be exercised sparingly and in exceptional cases only, and as far as possible a more or less uniform standard should be adopted in granting special leave in the wide range of matters which can come up before it under this article." "It is an extraordinary jurisdiction vested by the Constitution in the Supreme Court with implicit trust and faith, and extraordinary care and caution has to be observed in the exercise of this jurisdiction. Article 136 does not confer a right of appeal on a party but vests a vast discretion in the Supreme Court meant to be exercised on the considerations of justice, call of duty and eradicating injustice." "The discretionary power of the Supreme Court is plenary in the sense that there are no words in Article 136 itself qualifying that power. The very conferment of the discretionary power defies any attempt at exhaustive definition of such power. The power is permitted to be invoked not in a routine fashion but in very exceptional circumstances as when a question of law of general public importance arises or a decision sought to be impugned before the Supreme Court shocks the conscience. This overriding and exceptional power has been vested in the Supreme Court to be exercised sparingly and only in furtherance of the cause of justice in the Supreme Court in exceptional cases only when special circumstances are shown to exist." "It is well settled that Article 136 of the Constitution does not confer a right to appeal on any party; it confers a discretionary power on the Supreme Court to interfere in suitable cases. Article 136 cannot be read as conferring a right on anyone to prefer an appeal to this Court; it only confers a right on a party to file an application seeking leave to appeal and a discretion on the Court to grant or not to grant such leave in its wisdom. When no law confers a statutory right to appeal on a party, Article 136 cannot be called in aid to spell out such a right. The Supreme Court would not under Article 136 constitute itself into a tribunal or court just settling disputes and reduce itself to a mere court of error. The power under Article 136 is an extraordinary power to be exercised in rare and exceptional cases and on well-known principles." "The exercise of jurisdiction conferred by Art.136 of the Constitution on the Supreme Court is discretionary. It does not confer a right to appeal on a party to litigation; it only confers a discretionary power of widest amplitude on the Supreme Court to be exercised for satisfying the demands of justice. On one hand, it is an exceptional power to be exercised sparingly, with caution and care and to remedy extraordinary situations or situations occasioning gross failure of justice; on the other hand, it is an overriding power whereunder the Court may generously step in to impart justice and remedy injustice." 13. In Ashok Nagar Welfare Association Vs. R.K. Sharma AIR 2002 SC 335, this Court observed that even in cases where special leave is granted, the discretionary power vested in the Court continues to remain with the Court even at the stage when the appeal comes up for hearing. 14. Now-a-days it has become a practice of filing SLPs against all kinds of orders of the High Court or other authorities without realizing the scope of Article 136. Hence we feel it incumbent on us to reiterate that Article 136 was never meant to be an ordinary forum of appeal at all like Section 96 or even Section 100 CPC. Under the constitutional scheme, ordinarily the last court in the country in ordinary cases was meant to be the High Court. The Supreme Court as the Apex Court in the country was meant to deal with important issues like constitutional questions, questions of law of general importance or where grave injustice had been done. If the Supreme Court entertains all and sundry kinds of cases it will soon be flooded with a huge amount of backlog and will not be able to deal with important questions relating to the Constitution or the law or where grave injustice has been done, for which it was really meant under the Constitutional Scheme. After all, the Supreme Court has limited time at its disposal and it cannot be expected to hear every kind of dispute. "We have, however, to sympathize with the judges. They are struggling with an unbearable burden. The judges spend late nights trying to read briefs for a Monday or a Friday. When each of the 13 Divisions or Benches have to dispose off about 60 cases in a day, the functioning of the Supreme Court of India is a far cry from what should be desiderata for disposal of cases in a calm and detached atmosphere. The Judges rarely have the leisure to ponder over the arguments addressed to the court and finally to deliver a path-breaking, outstanding and classic judgment. All this is impossible of attainment to a Court oppressed by the burden of a huge backlog of cases. The constant pressure by counsel and the clients for an early date of hearing and a need to adjourn final hearings which are listed, perforce, on a miscellaneous day i.e. Monday or a Friday, where the Court finds that it has no time to deal with those cases, not only puts a strain on the Court, but also a huge financial burden on the litigant. I wonder what a lawyer practising in 1950 would feel if he were today to enter the Supreme Court premises on a Monday or a Friday. He would be appalled at the huge crowd of lawyers and clients thronging the corridors, where one finds it extremely difficult to push one's way through the crowd to reach the Court hall. When he enters the Court hall he finds an equally heavy crowd of lawyers blocking his way. I do not think that any of the senior counsel practicing in the Supreme Court, during the first 3-4 decades of the existence of the Court, would be able to relate to the manner in which we as counsel argue cases today. In matters involving very heavy stakes, 4-5 Senior Advocates should be briefed on either side, all of whom would be standing up at the same time and addressing the court, sometimes at the highest pitch possible. All these are aberrations in the functioning of an Apex Court of any country." 16. Mr. Venugopal has pointed out that in the year 1997 there were only 19,000 pending cases in this Court but now, there are over 55,000 pending cases and in a few years time the pendency will cross one lakh cases. In 2009 almost 70,000 cases were filed in this Court of which an overwhelming number were Special Leave Petitions under Article 136. At present all these cases have to be heard orally, whereas the U.S. Supreme Court hears only about 100 to 120 cases every year and the Canadian Supreme Court hears only 60 cases per year. "It may, however, be pointed out that this Court was never intended to be a regular court of appeal against orders made by the High Court or the sessions court or the magistrates. It was created for the purpose of laying down the law for the entire country ...............It is not every case where the apex court finds that some injustice has been done that it would grant special leave and interfere. That would be converting the apex court into a regular court of appeal and moreover, by so doing, the apex court would soon be reduced to a position where it will find itself unable to remedy any injustice at all, on account of the tremendous backlog of cases which is bound to accumulate. We must realize that in the vast majority of cases the High Courts must become final even if they are wrong". "... he was a firm believer in limiting the jurisdiction of the Supreme Court on every front as he would not be seduced by the Quixotic temptation to right every fancied wrong which was paraded before him. ...... Husbanding his time and energies as if the next day were to be his last, he steeled himself, like a scientist in the service of man, against the enervating distraction of the countless tragedies he was not meant to relieve. His concern for jurisdictional and procedural limits reflected, on the technical level, an essentially stoic philosophy. For like Epictetus, he recognized 'the impropriety of being emotionally affected by what is not under one's control'. The only way found practicable or acceptable in this country (U.S.A.) for keeping the volume of cases within the capacity of a court of last resort is to allow the intermediate courts of appeal finally to settle all cases that are of consequence only to parties. This reserves to the court of last resort only questions on which lower courts are in conflict or those of general importance to the law." "The function of the Supreme Court, according to Justice Frankfurter, was to expound and stabilize principles of law, to pass upon constitutional and other important questions of law for the public benefit and to preserve uniformity of decision among the intermediate courts of appeal. The time and attention and the energy of the court should be devoted to matters of large public concern and they should not be consumed by matters of less concern, without special general interest, merely because the litigant wants to have the court of last resort pass upon his right. The function of the Supreme Court was conceived to be, not to remedying of a particular litigant's wrong, but the consideration of cases whose decision involved principles, the application of which were of wide public or governmental interest and which ought to be authoritatively declared by the final court. Without adequate study, reflection and discussion on the part of judges, there could not be that fruitful interchange of minds which was indispensable to thoughtful, unhurried decision and its formulation in learned and impressive opinions and therefore Justice Frankfurter considered it imperative that the docket of the court be kept down so that its volume did not preclude wise adjudication. 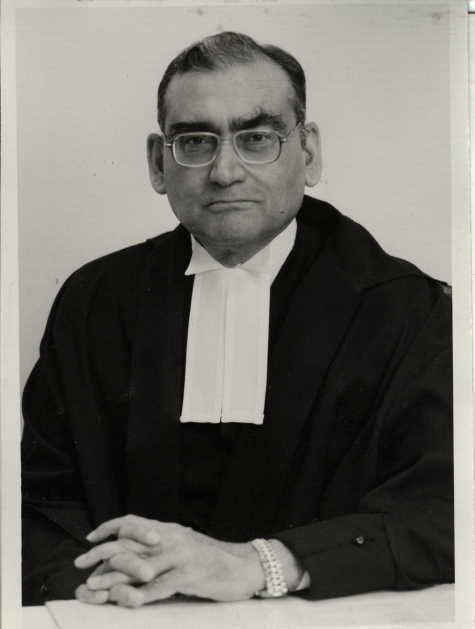 He was of the view that any case which did not rise to the significance of inescapability in meeting the responsibilities vested in the Supreme Court had to be rigorously excluded from consideration". "To say that no litigant should be turned out of the Supreme Court so long as he has a grievance may be good populistic propaganda but the consequence of accepting such a demand would surely defeat the great purpose for which the Court was established under our constitutional system. It is high time we recognize the need for the Supreme Court to entertain under Article 136 only those cases which measure up to the significance of the national or public importance. The effort, then, must therefore be to voluntarily cut the coat of jurisdiction according to the cloth of importance of the question and not to expand the same with a view to satisfy every litigant who has the means to pursue his cause." 21. Mr. Venugopal has suggested the following categories of cases which alone should be entertained under Article 136 of the Constitution. 22. We are of the opinion that two additional categories of cases can be added to the above list, namely (i) where the Court is satisfied that there has been a grave miscarriage of justice and (ii) where a fundamental right of a person has prima facie been violated. However, it is for the Constitution Bench to which we are referring this matter to decide what are the kinds of cases in which discretion under Article 136 should be exercised. 24. It may be mentioned that in Pritam Singh Vs. The State AIR 1950 S.C. 169 a Constitution Bench of this Court observed (vide para 9) that "a more or less uniform standard should be adopted in granting Special Leave". Unfortunately, despite this observation no such uniform standard has been laid down by this Court, with the result that grant of Special Leave has become, as Mr. Setalvad pointed out in his book ` My Life', a gamble. This is not a desirable state of affairs as there should be some uniformity in the approach of the different benches of this Court. Though Article 136 no doubt confers a discretion on the Court, judicial discretion, as Lord Mansfield stated in classic terms in the case of John Wilkes, (1770) 4 Burr 2528 "means sound discretion guided by law. It must be governed by rule, not humour: it must not be arbitrary, vague and fanciful"
25. The Apex Court lays down the law for the whole country and it should have more time to deliberate upon the cases it hears before rendering judgment as Mr. Justice Frankfurter observed. However, sadly the position today is that it is under such pressure because of the immense volume of cases in the Court that Judges do not get sufficient time to deliberate over the cases, which they deserve, and this is bound to affect the quality of our judgments. 26. Let notice issue to the respondents. Issue notice also to the Supreme Court Bar Association, Bar Council of India and the Supreme Court-Advocates-on-Record Association. 27. Since the matter involves interpretation of Article 136 of the Constitution, we feel that it should be decided by a Constitution Bench in view of Article 145(3) of the Constitution. Let the papers of this case be laid before Hon'ble the Chief Justice of India for constitution of an appropriate Bench, to decide which kinds of cases should be entertained under Article 136, and/or for laying down some broad guidelines in this connection. Is article 136 not an obstacle to get judgement from Hon.Supreme court of India ? when the appeal dismissed without facts of case. How can punished the officials who makes illegal seniority lists and the law helps them also ? There are two cases of Seniority of state Uttarakhand. One is C.A.No 5130of 2009 (Seniority of Teachers) the Hon Judges Markandey Katju and C.M.Prasad gave a judgement using that “ it is the law which has to prevail in accordance with the latin maxim ‘dura lex sed lex’ which means ‘law is hard but it is the law’” and ad hoc appointee are not entitled to the benefit of their service from 1988 to 2004. On the facts of the case, we are not inclined to exercise our discretion under Article 136 of the Constitution of India in these Appeals. The Appeals are dismissed accordingly. No costs. [In a bus there is a law that there is no seat for without ticket Holders . If a power given to the conducter what will happen – there will be no seats for ticket Holders who stands in a row for buying tickets and the seats are occupied by illegal’s]. Why did Mr.Katju take 'U' turn in this matter? What made him to have special interest in this matter ? more in a short span of time. applying article 136 with the words discretionary power of the SC means pick and choose matters. If a matter involve vested interests of the SC Judges or the constituent bench it will be favoured and will be admitted with positive orders otherwise it will be orders that ,"In our opinion, no case is made out within the parameters indicated in the decision of this court" In fact SC judges are agents/touts can be purchased like call girls. can art. 136 be used in clubbing of cases ? There are thousands of SLP are pending from long time. For quick disposal supreme Court should take help from Higher Bench of concern highcourt..A judgement of a single judge should be sent to highcourt it self.